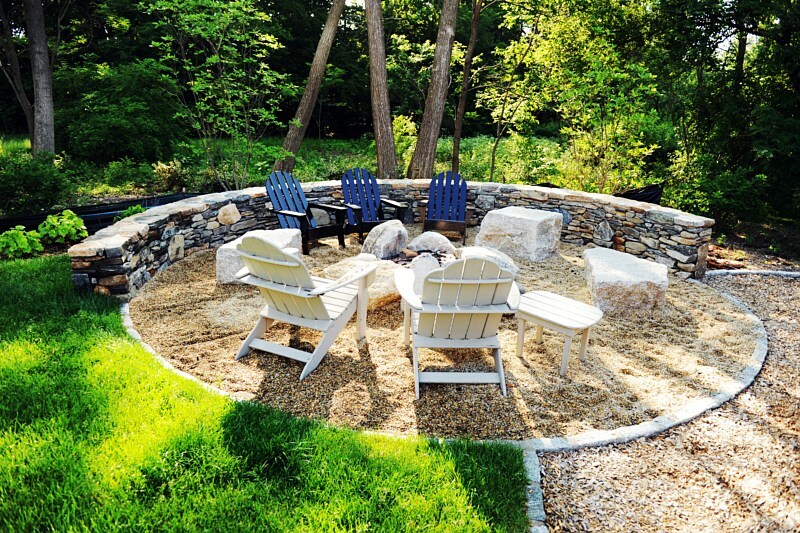 Krefta Landscape has many years of experience in designing and installing fire pits and fireplaces for residential and commercial properties throughout the Eastern Massachusetts region. 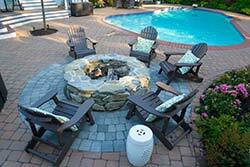 The addition of a fire pit or fireplace is the perfect centerpiece for any landscape setting. It allows you to spend some quality time outdoors in those cooler months of the year. Imagine sitting outside on a winter night with friends and family in front of a warm fire. 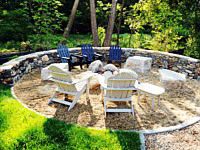 We will custom design a fire pit or fireplace that is ideal for your property. No job is too small or too large for our company. With Krefta Landscape you know you are working with the professionals. Take a look through our project gallery to see some of our creative installations. Our designers and contractors are ready to help you enhance the look and feel of your landscapes. There are a wide range of fire pit and fireplace designs available on the market today. We at Krefta Landscape can install readymade products or we can custom design masterpiece that will be totally unique to your landscape setting. If you would like to have an installation that is unlike anything you have ever seen before then we are the company for you. Our landscape designers have all the knowledge and the necessary resources to give you an innovative design or perhaps you want a more classical type of piece. The sky is the limit when you are working with an experienced team like ours. Your design will be limited by your imagination only! 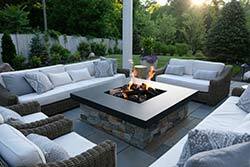 One of our designers will sit down with you and come up with a fire pit or fireplace design that is everything you have envisioned and more. We use the latest landscape design software to give you the picture of the end result. Only when you are completely happy with our design will we then begin the construction phase. 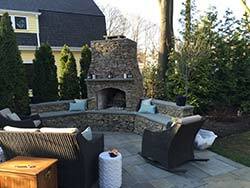 Entrusting your new fire pit and fireplace project to the team at Krefta Landscape will ensure that you get a masterpiece that will enhance the look of your property and one that will last a lifetime. We use only the best materials and products for all of our installation projects. We believe that paying a little more for quality materials can make a huge different in the long run. Let us take all the stress and hassle out of your next landscaping or hardscaping project. We have all the necessary equipment and tools to get the job done fast and efficiently the first time. Don't take any chances on trying to do-it-yourself; leave it in our hands and all you need to do is sit back and watch it all come to life. Contact us today and lets get you one step closer to a perfect landscape!